The 12th installment in SNK’s long-running blade-based beat-’em-up is, to use fighting game parlance, somewhat of a stance switch. 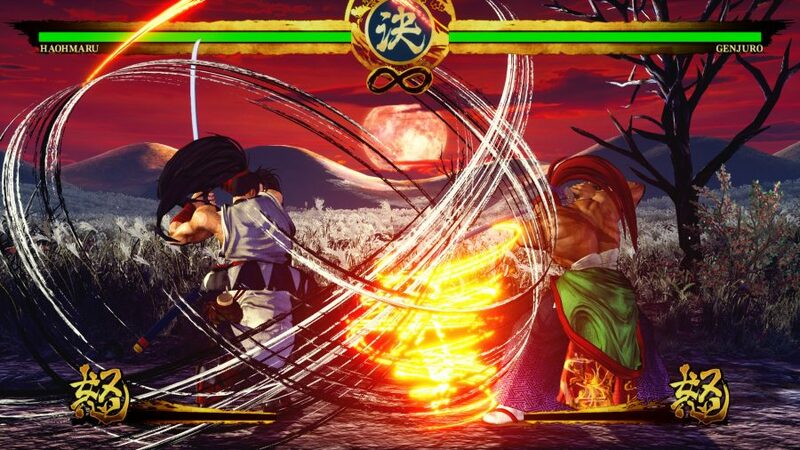 Not only does Samurai Shodown rewind the timeline to just one year after the 1787 setting of the first game, it uses the burly power of Unreal Engine 4 to drive the vibrant visuals and intense weapon play for the very first time. 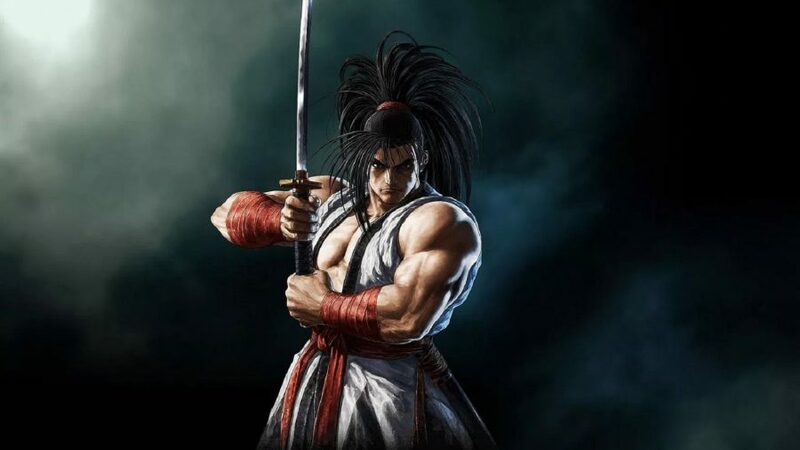 There’s no great surprise there of course – Unreal Engine 4 wasn’t around in 2008 when the previous entry, Samurai Shodown: Edge of Destiny, released. 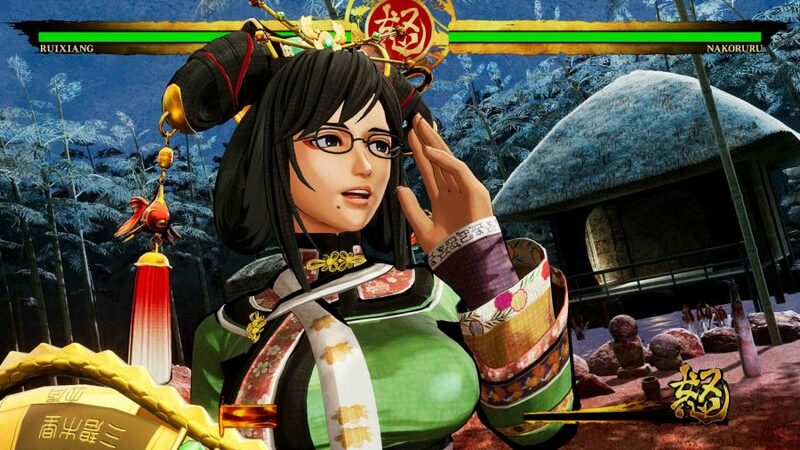 So why a new Samurai Shodown, and why now? This is a historic fighter reborn in Unreal Engine 4. Classic stages and characters inspired by Feudal Japan are the perfect blend of new school meets old. Despite the shift to a new engine, however, the philosophy of combat remains the same: master your chosen samurai’s moveset and become one with their bespoke blade. Or, you know, make your opponent one with it, by hitting them. That’s easier said than done given the stakes. Samurai Shodown is and always will be high risk, high reward, which makes sense when you have a roster of fighters who target each other with katanas, rapiers, and fanged meat cleavers. Strikes here cut chunks of health bars and emit bright bursts of blood from opponents – definitely something to be dodged rather than weathered. That’s what you’d expect from the series, and that’s what Samurai Shodown delivers, albeit in a bold and beautiful new way. A fighting game is only as good as its characters. Thankfully, Samurai Shodown is fit to burst with 16 elegant designs. Veterans making their triumphant return include masked fire-breather Tam Tam, nature-loving Nakoruru, and murderous druggy Genjuro. Three new warriors also make their debut. The first is Darli Dagger, who’s essentially a Hikeshi, or a Japanese firefighter from Edo times. Next is armoured warlord Yashamaru Kurama. According to Saji, the initial concept of a heavily armoured tank-like figure was toned down in favour of a lighter design, one replete with various decorations. These include Buddhist robes, and clothes associated with Japanese mountain hermits. “Our initial theme for this character was ‘Crow Tengu’ and we didn’t stray too far from that,” Saji says. “Additionally, we took great lengths to drive home the bird and Tengu motifs by decorating his armour with feathers on the leg parts and adorning the armour with fatsia leaves typically associated with the fans that Tengu often carry around.” A solid addition to the roster, then. The final new character is Wu-Ruixiang, whose design takes inspiration from the Feng Shui geomancer. You don’t need us to tell you the Feng Shui geomancer is from Chinese royalty during the Qing dynasty. Or maybe you do. Wu-Ruixiang loves to rock a Luopan, which is basically a large, geomantic compass, so when you think about it, she’s actually hitting you with coordinates. That’s amazing. Her hat and dress, we’re told, bear decorations dating back to the Qing dynasty of her inception. “Originally, we had plans to give her the ‘sacred sword of seven stars’ or have her trusted Luopan float above her head,” Saji says. “During our brainstorming process, we started her off as a ‘devilishly smart but clumsy’ archetype, but we decided it was a good fit for her, so we kept it through the design process.” Wu-Ruixiang isn’t the first SNK character to go through such a drawn-out process, and she won’t be the last. The thought put into her is one of the reasons she’s Oda’s favourite fighter. “For sure it’s Wu-Ruixiang,” he says. “Her movements and actions are a direct reflection of her personality.” SNK confirms there’ll be more characters released as DLC farther down the line. No matter your own personal preference, however, something that’s hard to disagree on is just how special Samurai Shodown looks on Unreal Engine 4. After a decade-long hiatus, this impressive return of the series has been well worth the wait. Samurai Shodown will be available on PC in winter 2019. Unreal Engine 4 development is now free. In this sponsored series, we’re looking at how game developers are taking advantage of Unreal Engine 4 to create a new generation of PC games. With thanks to Epic Games and SNK.